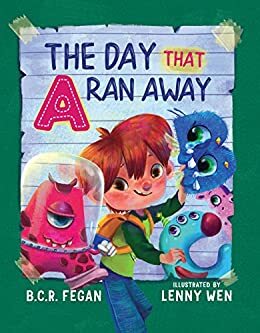 The Day that A Ran Away is an adorably witty story about the letters of the alphabet just deciding not to report for duty one day. Master Jet is trying to write the alphabet and he just can’t do it with all the letters on holiday. Each letter has either decided not to show up or has had something that prevented it from showing up. Understandably, it’s hard to write the alphabet without even one of the letters. Master Jet may think he is fooling his teacher, but Mrs. May is way too smart to fall for his creative tricks. My kids are much older now, but they would have loved this book when they were little. The writing is catchy and flows well for reading aloud. The rhymes are cute. The colors are bright and eye-catching. This was especially always a hit with my own children. The illustrations are beautiful. It is very visually pleasing. It is also funny. It made me laugh a couple of times. I actually think it would be fun to read aloud. 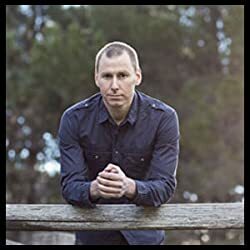 Any parent who has had to read the same book one hundred times can tell you how important it is to have a story that flows well verbally. My favorite part of the book is the beautiful illustrations. They are by Lenny Wen. As with most children’s books, the illustrations are a huge part of whether the book is a hit or not. Since most kids are being read to at this stage, the illustrations have to really appeal to them. A nice touch was adding a few “hidden” images within each letter’s page—having the kids match the letter with the object. My kids would have loved trying to find these little gems. Overall, the artwork is beautifully done. Together B.C.R. Fegan and Lenny Wen have created a catchy, appealing story for little kids and their parents. I really enjoyed it. I believe kids and parents everywhere would enjoy it as well.